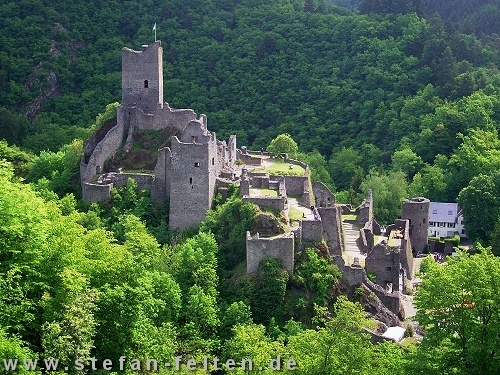 Niederburg Grafenfels is the lower one of two castles in the village of Manderscheid, Germany. It’s situated in some wonderful scenery in the Eifel region which adds to the experience. Walk around the castle through forests along flowing water and enjoy the beauty of this tremendous building.